Egret+Ox Planning LLC is a minority-owned community planning and graphic design firm providing a range of services built on the foundation of urban planning experience dating back to 2001, including extensive project experience in the Chicago region. Serving as Principal Planner, Todd Vanadilok, AICP, launched Egret+Ox Planning LLC as a small business to provide planning services with a cost effective and flexible approach that meets the varying needs of clients to strengthen our communities. The firm operates as a virtual office to serve clients in a flexible, efficient, and responsive manner, no matter where they are located. Egret+Ox Planning LLC is a minority-owned small business with certification as a Disadvantaged Business Enterprise (DBE) and Minority Business Enterprise (MBE). Work codes include Urban Planning Services and Graphic Design Services. The firm is also certified as an Emerging Small Business (ESB), Emerging Business Enterprise (EBE), and Small Business Enterprise (SBE). 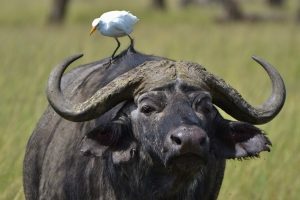 So, why an egret and an ox? While they are clearly different animal species, an egret and ox have a symbiotic relationship where they mutually benefit each other. The height of the ox provides an advantageous perch to hunt for insects, particularly those that pester the ox. In addition, the egret’s elevated perch and heightened sense of its surroundings enable it to alert the ox of any impending danger. Symbiosis is common in the animal kingdom, as well as a noble trait in communities of the human kind. The name Egret+Ox reflects the symbiotic relationship that the firm believes to be the root for positive and transformative change in communities, particularly when people and groups of diverse natures work together towards a common end. Let’s find a way to work together. Whether you are a community looking to hire a consultant planner or a prime consultant building a team to pursue a project, I will work with you to figure out how best Egret+Ox Planning LLC can meet your needs. Whether you need a planner for one meeting, a short-term task, or the entirety of a project, I have the flexibility, breadth of skills, and depth of planning knowledge to meet your needs and fit your budget. With 16 years of private consulting experience in the Chicago metropolitan area, I am able to call upon my extensive experience working on and with a diverse range of project types, community sizes, client bases, and planning issues. 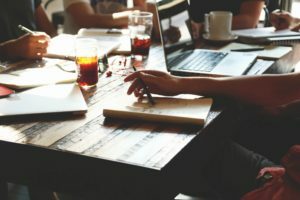 In addition, operating as a virtual office means my office goes with me wherever I go, which enables me to communicate with clients on the phone, online, or in person, as well as access and work on project files on the fly. That translates to efficient use of resources. Advocating for diversity in our communities is a core value both personally and professionally. From economics, housing, and transportation choice to race, gender, and sexual orientation, the core issues of diversity are, well, diverse. 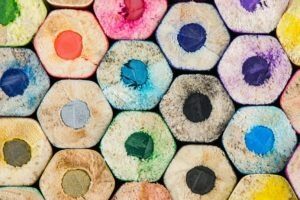 While diversity comes in many forms, the primary goal is generally the same across the board: to work towards building up a society where all people have equitable access to opportunities and can live freely without fear of oppression or constraint. Planning approaches that advance diversity run a broad spectrum, from Complete Streets, Sustainable Development, and Transit Oriented Development (TOD) to Placemaking, Inclusive Growth, and Asset Based Planning. Maintaining a steady planning approach that accounts for diversity means communicating with all stakeholders involved and understanding their diverse needs, values, and expectations. Balancing this diversity is central to the idea of symbiotic relationships to meet a common end, just like the kinship between the egret and ox. © 2017-2019 Egret+Ox Planning LLC. All rights reserved.